Nothing says fun like embezzlement! Being a criminal is hard. You're pulling heists like every other day. You're always searching for new places to hide your wads of cash and other totally legal assets. You're constantly being harassed by those gosh-darned police. What's a 40-something with his or her best gun-totin' days behind them to do? Easy: start up their own criminal enterprise. In just a few days, Grand Theft Auto Online will be adding in the "Further Adventures in Finance and Felony" update, which finally allows all you over-the-hill geezers to really invest in the youth. By that, of course, I mean a few punk kids willing to haul a highly illegal payload across state lines for little more than a handshake and a few cases of Ecto Cooler. 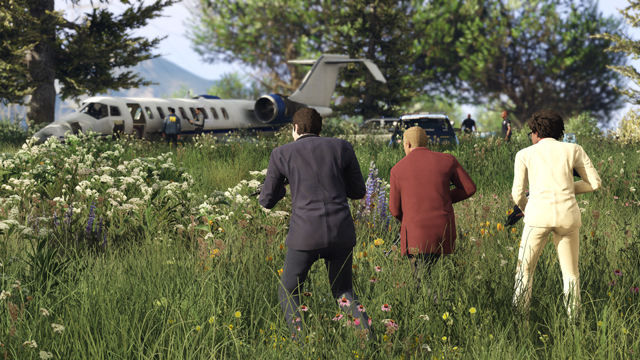 According to developer Rockstar Games, this latest update will hit on June 7th and bring with it all new ways for you to spend those dirty, dirty clams. 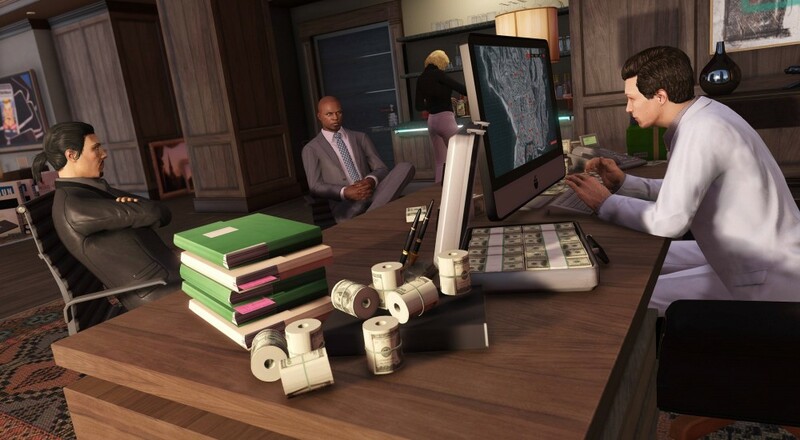 Along with a few slick new vehicles and a bevy of other rare and expensive items, you'll be able to invest money into your own "business", which is mostly in the industry of buying and selling illegal contraband in and around San Andreas. As CEO of said company, you'll be organizing exclusive missions for you and your associates to embark on, all in the name of capitalism. An official trailer will be hitting soon, and with it will come many more details on the many ways you can embed yourself into the upper crust of corporate society. Until then, it'd probably be a good idea to gather your friends, pull off a few heists, and wisely stow that money away until you find the right business opportunity. Page created in 0.3792 seconds.